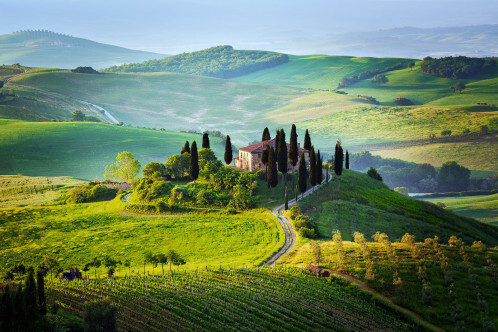 If you’re yearning for peace, sunshine and great food and wine in a beautiful, rural setting then Tuscany’s countryside of vibrant orange soil, grey-green olives groves and cool cypress forests will probably top your list of favourite destinations. 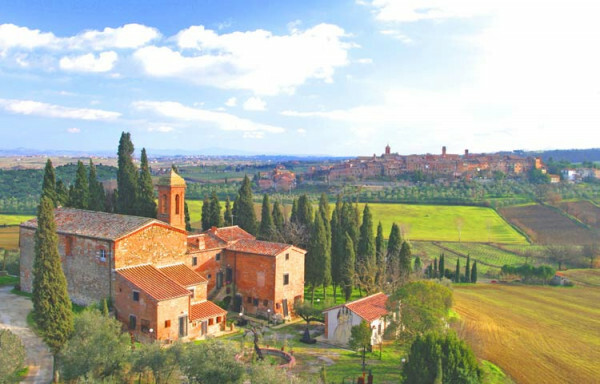 Historic and colourful, there are all sorts of magical places to stay in the Tuscan countryside, from converted castles, to mellow old family-fun villas, to luxurious spa retreats, seaside resorts, or agriturismo farmhouses and working wine estates. The challenge for our Gurus is only in finding your own idea of the best hotels in the Tuscan countryside. Which is why our recommendations for the 20 best hotels in rural Tuscany has been broken up into categories highlighting just some of the priorities we have when we’re searching for the best hotels in Tuscany. We all got lost in the photos, but whichever one of our 20 best hotels in rural Tuscany tecommendations you favour you’ll find yourself immersed in idyllic countryside, yet never far from great art, wholesome country food or excellent local wine. 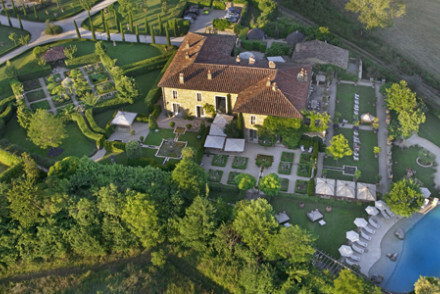 Borgo San Felice is an entire country hamlet, surrounded by panoramic views of the Tuscan countryside. The 33 rooms/ suites and apartments are in a collection of beautiful stone houses, arranged around a pool, winery, chapel, bar and a restaurant with a beautiful terrace. This is the perfect place from which to taste wine, take strolls, go ballooning or horse riding, eat well and explore the surrounding beauty. 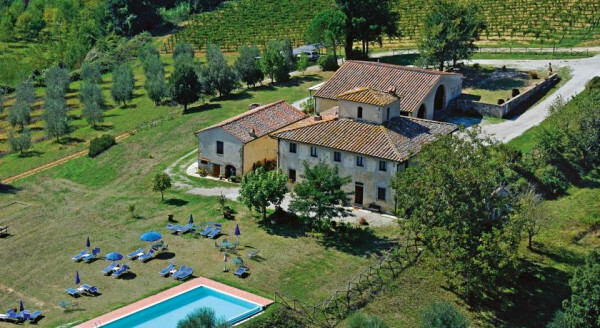 Villa Le Barone is a gorgeous villa with spectacular views over the Chianti countryside. There are 28 rather traditional and romantic rooms and suites, with oak floors, some lovely antiques and soft colours, plus a heated pool, and a winery offering wine tastings and a restaurant offering cooking classes. Le Fontanelle offers five stars worth of views, over olive groves, lemon trees and vineyards, plus five stars worth of decor when it comes to the 25 rooms, suites and apartments arranged within the stone buildings of a charming hamlet. They also offer five star food in the elegant restaurant, and a five star pool and spa. Only accessible by boat, Pardini’s Hermitage is an idyllic hideaway in the form of a simple 1950s villa. There are just 14 rooms, some of them overlooking crystal clear waters, and all of them overlooking beautiful gardens. This is the perfect place to focus your mind and body, and they offer yoga, painting, pottery and cooking classes - all complimented by the delicious communally served meals made from local produce. Monteverdi offers the very best of Tuscany in its seven rooms and three suites. The very best local gastronomic cuisine, a sparkling infinity pool overlooking an incredible view of the Tuscan hills, and really charming decor - we’re talking huge stand-alone bathtubs, four-poster beds and log fires. During the Renaissance the Locanda dell’Amorosa was a whole hamlet, but today it’s a small luxury hotel with 27 beautiful rooms, a fantastic restaurant serving locally sourced cuisine, and a charming wine bar and pool-with-a-view. The location is great for exploring the hills. The Residenza d'Arte is a chic and quirky rustic hotel or ‘ house of art’, in the beautiful countryside just outside Siena. The eight big, romantic bedrooms are filled with art and sculptures, as well as lovely original features, and there’s a stunning garden with views towards Siena, and only cypresses, fields and olive groves in between. 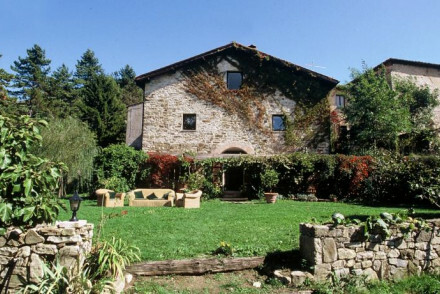 Just 16kms from Florence, the Casa Palmira was originally a barn, but has been delightfully converted into a seven room B&B. The decor is surprisingly elegant for a barn, with wooden floors and handmade furniture, and breakfast is an elaborate spread. There’s also a pool-with-a-view. Podere Dionara is an achingly beautiful hilltop villa turned six room country house B&B. The villa is surround by farmland, and there are wonderful vistas in every direction, from the rustic chic bedrooms with their four poster beds, from the sunny terraces, the breakfast room and the swimming pool. 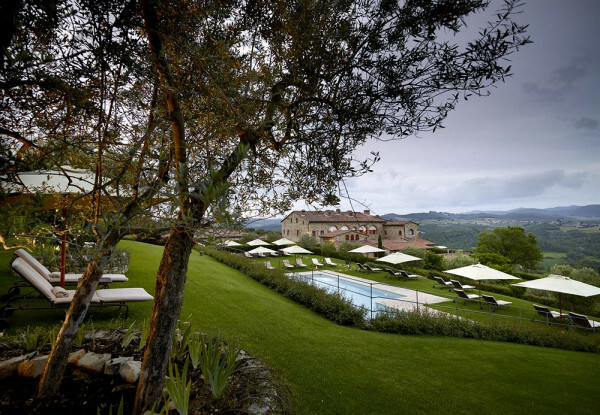 The Hotelito Lupaia is another beautifully converted villa in the Montepulciano region, and certainly one of the best hotels in Tuscany’ wine country. This eight room villa is charmingly eccentric, and luxurious with it, with pastel colours, exposed beams, stone floors, sunny terraces and a pool-with-a-view. The restaurant is good too. 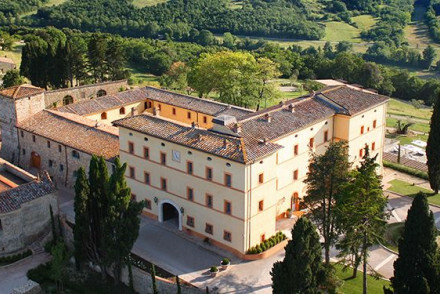 The Castello di Nero is less a villa more a 12th century castle, still decorated with frescoes and mosaics, but now converted into a hotel with 32 rooms and 18 suites. The views from its hilltop position are incredible, and there are acres of grounds to explore, plus a spa, a bar and a fabulous gourmet restaurant. 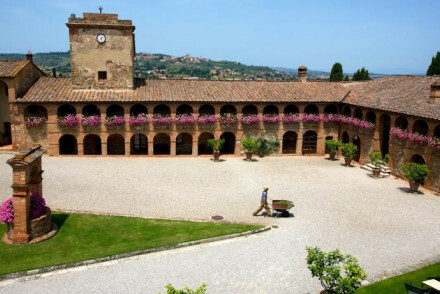 The Castello di Vicarello is one of the best luxury hotels in the Tuscan countryside, a seven room castle hotel with panoramic views over its own working vineyards. The decor is Italianate opulence: traditional and romantic, and there’s a top of the range spa and pool and a restaurant serving local sourced regional cuisine. The Castello Banfi il Borgo is another castle and wine estate, this time built in the 13th century, and now offering nine elegant, boutique-style rooms with arched ceilings, four-poster beds and stunning view. Plus an enoteca or wine shop, a spa and a gourmet restaurant. As well ad being luxurious the enoteca probably goes towards making this one of the best hotels in Tuscany’s wine regions. 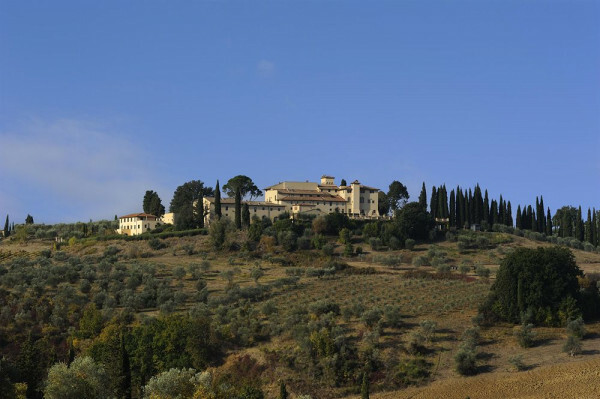 Yet another castle, the Castello di Casole is larger, with 41 rooms and suites, and set on its own 4,200 acres of Tuscan countryside. The castle has many original murals, Murano glass chandeliers and flagstone floors which tell a romantic story. The views are sublime, there’s a gorgeous pool and the restaurant is excellent. Pack your silk, linen and cashmere for Bellinis on the terrace as the sun sets. 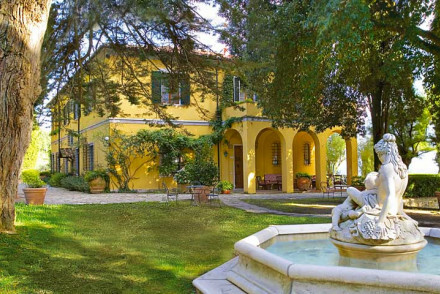 In the hills above Chianti you’ll find the Relais Villa Petrischio, a stunning country house hotel with cosy, traditional interiors featuring brass bedsteads, stone floors, wood beams and local antiques. There’s a choice of 18 rooms, suites and apartments - some perfect for families. Plus there’s a pool with a view and the restaurant offering cooking classes. 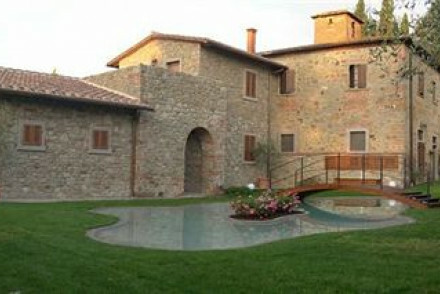 The Agriturismo Poggiacolle is a saffron farm with four individual self-catering apartments within the old farmhouse. 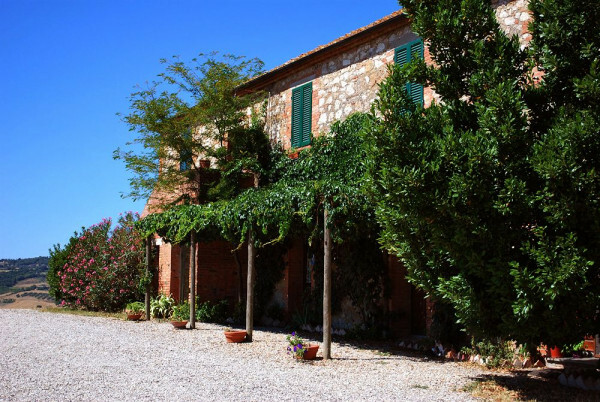 The decor is rustic and very Tuscan - as well as the farm the property also has its own vineyards. And there are tennis courts, an infinity pool and spectacular views, which all help to make it one of the best hotels in Tuscany for families. 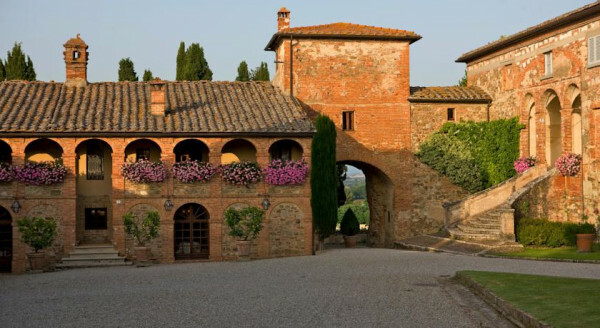 If your family deserves to stay in a castle then Tuscany can accommodate you too, at the Castello di Tornano, an 11 room property perched on a hillside. The oak floors, four-poster beds and magnificent views make it seem more exclusive than the £115 or so they’re asking per night. 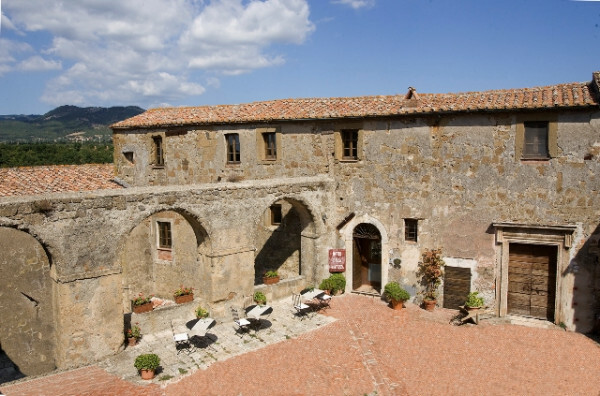 For around £100 per night you can stay in the Hotel della Fortezza, a converted 11th century fortress with views across the terracotta roofs and rolling green of the Tuscan landscape. The hotel has 16 comfortable rooms with traditional tiled floors, wood beams and natural colour schemes. Plenty of character and just the ‘right’ amount of wear and tear. The Il Rigo is a simple country house with 13 minimalist rooms on a working farm, complete with cypress trees and vine covered terraces. The food is outstanding and regional and they offer bike hire. And all for under £90 per night. 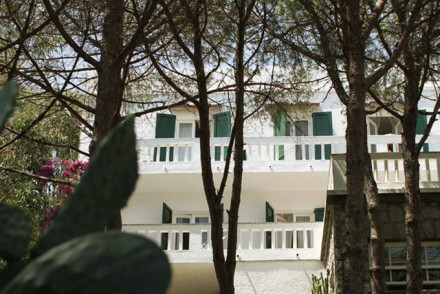 Quercia Rossa is a charming, six room guesthouse offering rooms for as little as £70 per night. The decor is eclectic, the views are outstanding and there’s a lovely pool. You’re also close to a Michelin starred restaurant if you want to blow your budget there. 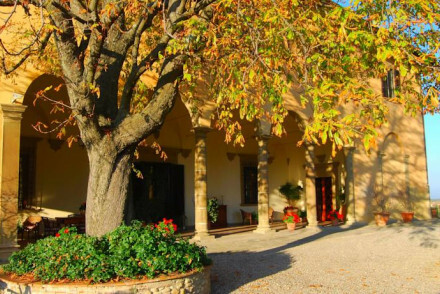 Tuscany is a great place to learn more about Italian cooking, and if that’s part of your travel plans then Tenuta san Pietro might be ideal for you. This ten room hotel has fabulous food and cookery classes, as well as sweeping views of the property’s olive farm and surrounding vineyard. 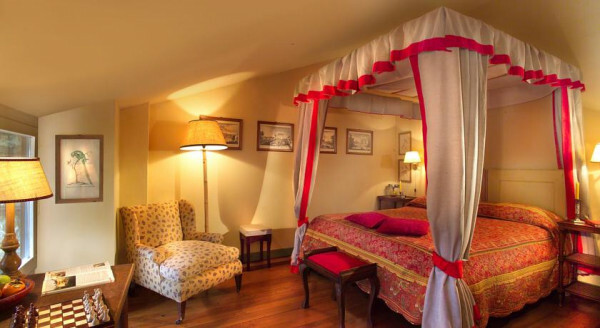 The hotel Il Falconiere occupies a stunning, 17th century manor house, and has 22 spacious rooms and suites. But the hotel really comes into its own in its Michelin starred restaurant where you can also take cooking classes or wine tastings. The pool and spa are completely charming too. The Villa Campestri Olive Oil Resort is another treat for anyone who appreciates the pleasure of great food against a great view. This country house estate is certainly one of the best hotels in the Tuscan hills and has a range of rooms, suites, family suites, and apartments, all decorated with antiques and killim rugs, with glorious views over cypresses and olive groves. They offer cooking classes too. A chic and quirky rustic hotel or 'house of art' in the beautiful countryside just outside Siena. Big romantic bedrooms filled with art and sculptures, wooden floors and stone walls. A stunning garden with views over cypress and olive trees. Poetic, romantic, and laid back. Outstanding location - The property is set entirely in its own medieval hamlet made up of pools, a chapel, and lots of separate buildings. Good wine list - It's own vineyards provide a wonderful selection of grape. Families - Plenty of activities to entertain everyone. 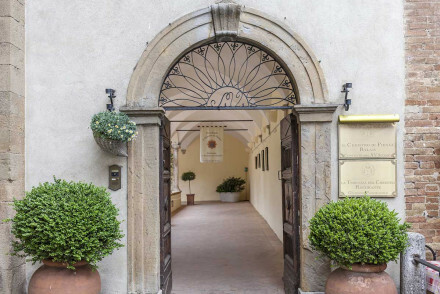 Former monastery in the heart of Pienza offers elegance and style, with delightful bedrooms in natural tones with tiled floors and arched ceilings. The cloister terrace restaurant serves delicious food and there are beautiful gardens and a pool that overlook the undulating valley. A romantic spot. Romantic Break - Candlelight meals on the rooftop, lazy days by the pool and magnificant suites, some featuring original ceiling frescoes. Local exploring - Right in the centre of this ancient and orginal example of Rennaissance townplanning, explore and soak up the history. Great walks - The Tuscan hillsides and vineyards make for some spectacular walking. 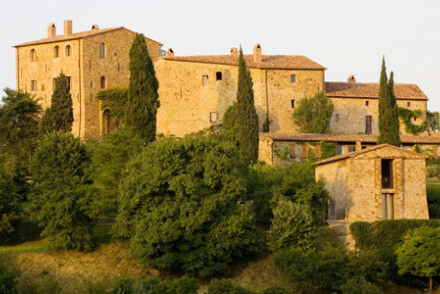 Dreams of staying in a castle come true with this 11th Century fortress, with views of terracotta rooftops and Tuscan landscape. 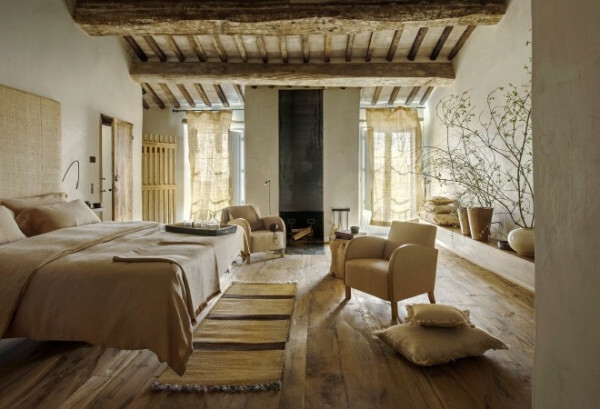 Comfortable rooms with tiled floors, wooden beams and natural tones. Full to the rafters with character. Ideal location for exploring this truly magical part of Italy. Historic - Located inside the 11th Century Fortezza Orsini di Sorano fortress, an impressive display of mediaeval military architecture. Great walks - Explore this hisotric town, owing most of its present beauty to Giuliano da Sangallo, Lorenzo de’ Medici’s own architect. Sights nearby - A must see is the Romanesque church of Santa Maria Maggiore, which houses one of the most ancient pre-Romanesque ciborias. Back to Nature - This area boasts some of the most beautiful landscapes for miles, dead out and explore the Etruscan hills and valley's. A lovely country house in the Tuscan hills. Rooms are minimalist with rustic touches of embroidery and antiques. Complete with working farm, cyprus trees and vine covered terraces. 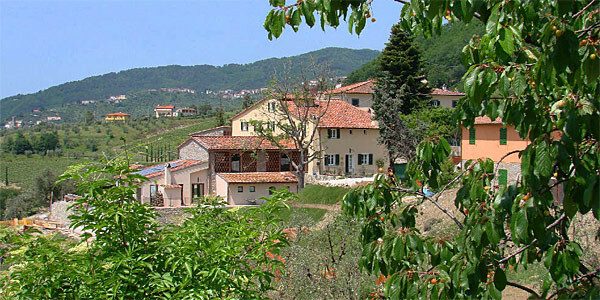 Outstanding Tuscan cuisine, bicycles available, secluded setting. A great choice for couples or families. A beautiful castle serenely perched on a hilltop. Traditional rooms and apartments, some in turrets, with oak floors, four poster beds, and magnificent valley views. Ideal for weddings, groups or family holidays. A highly luxurious boutique hotel perched on a hilltop with panoramic views over its own vineyards. Romantic rooms and suites have traditional decoration and Italianate opulence. A top of the range spa, fabulous regional cuisine fresh from the garden, and a pool. Glorious, rural, romantic. Views - Stunning valley views of the vineyards beyond. Romantic - Rural romance and glorious countryside. 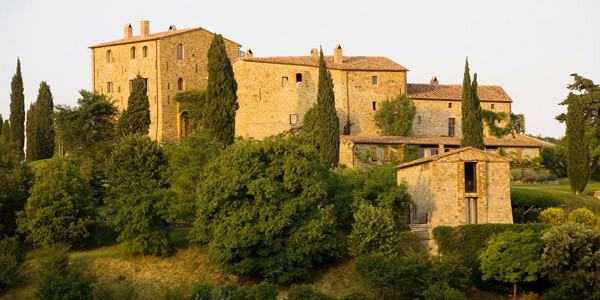 A stunning castle in an idyllic Tuscan location. 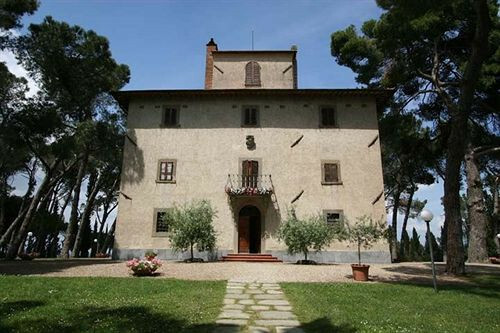 Luxury rustic style throughout with frescoes, views, mosaics, and wooden floors. Fab spa, gourmet restaurant and bar, as well as acres of grounds to explore. Not far from Sienna and Florence. Ideal for a honeymoon, still family friendly. Architectural - Medieval frescoes, marble and mosaic bathrooms, arched ceilings. Delightful stone country house B&B surrounded by farmland with undulating views. Rustic chic rooms with four posted beds, some with private garden terraces. Lovely breakfast room and swimming pool. A refined and elegant spot for a wedding or a group holiday. Affordable and charming guesthouse in the Tuscan countryside. Eclectically decorated bedrooms, lovely pool and views over the hills, plus a Michelin restaurant nearby. A great spot for exploring the surrounds, and good value too. Sights nearby - Archaeological sites - inlcuding Roman remains at Cosa and Saturnia, and Etruscan tombs at Sovana. Great walks - On the beaches of the Tuscan coast, 30 mins away. 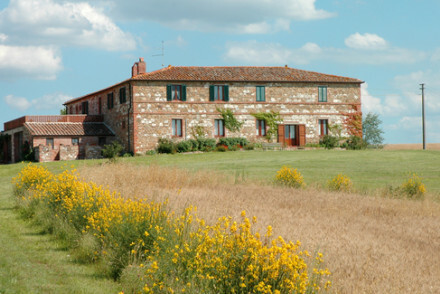 A gorgeous Tuscan farmhouse B&B with its own vineyards and saffron farm. 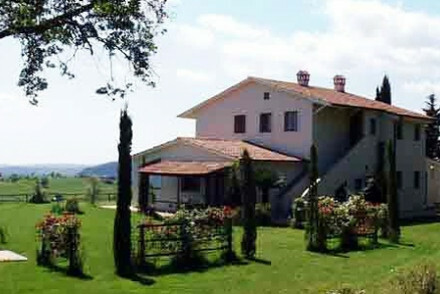 Four separate self-catering apartments occupy the farmhouse. Rustic-romantic rooms, infinity pool, tennis courts, and spectacular views of the surrounding countryside. Ideal for families and groups of friends. Groups - Some apartments sleep up to 10 people. 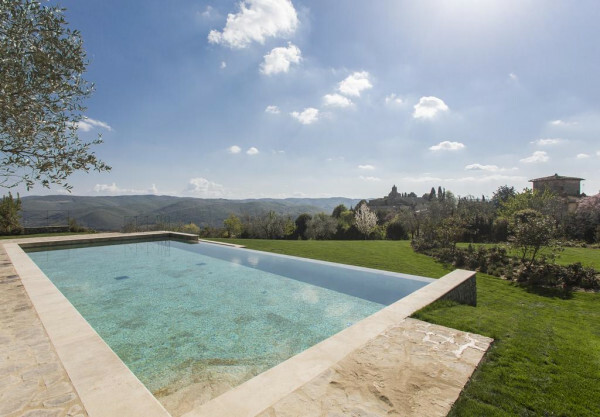 A stunning country house set in the hills of Chianti. Traditional and cosy interiors have wooden beams, brass bedsteads, stone floors, and antiques. A selection of rooms, suites, and apartments. Fabulous views from the pool area, restaurant, and bar. Cooking lessons and a large wine list. Views - Stunning views over the Valdichiana hills. Families - One apartments sleeps 4. Sights nearby - Tenuta Valdipiatta and Church of S. Francesco. Romantic setting for food lovers. 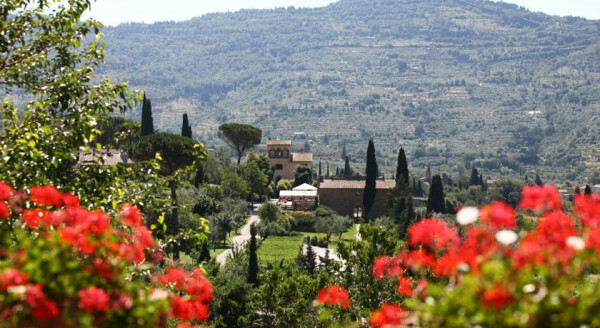 Dine at a Micehlin-starred restaurant in a stunning 17th Century Tuscan manor. Beautiful, spacious rooms are a perfect blend of homely meets luxury. Relax by the pool or at the spa. Dining is top class plus you can take part in cooking classes and wine tasting. Sights nearby - Take a picnic to Lake Trasimeno and spend a summers day in the water. Cooking classes - On site cookery school, led by Chef and owner Silvia Baracchi. A hotel with serious joie de vivre. 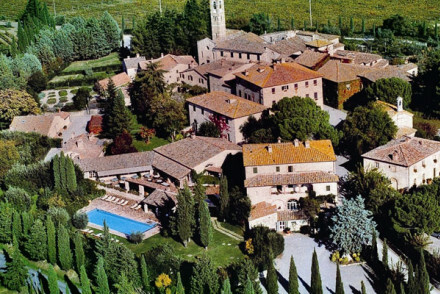 A stunning 13th century castle and wine estate with romantic boutique interiors, gourmet Tuscan cuisine, an Enoteca, and spa. Luxurious rooms and suites have arched ceilings, four poster beds, and stunning views. Gourmet, romantic, all the best things in life. 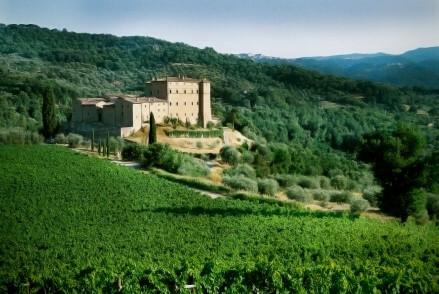 Foodies - Fantastic traditional Tuscan dishes and an Enoteca stocking wine from its 7000 acre wine estate. Romantic - Utterly romantic in location, decoration, and ambience. Views - Panoramic views of the hotel's vineyards around. Good wine list - The castle has it's own vineyard. 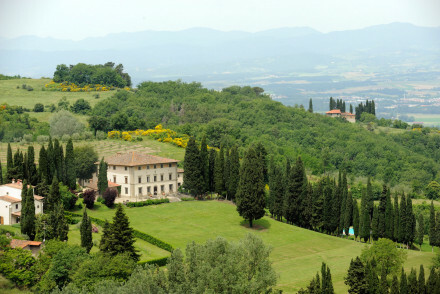 An eccentric and luxurious Tuscan villa with stunning views. Rooms with fruit pastel colours lacquered on stone walls, wooden beams, four poster beds, and stone floors. Lovely terraces, pool, and delicious organic food. A romantic choice. Former Renaissance hamlet, turned luxury boutique hotel. A Romantic spot with beautiful bedrooms, locally-sourced gourmet cuisine, and charming wine bar. 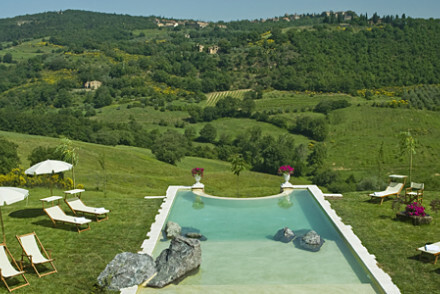 Relax by the pool or explore the surrounding in the Tuscan Hills and historical towns. Great walks - You'll never bore of exploring the vineyards, olive groves and rolling hills of the Tuscan countryside. 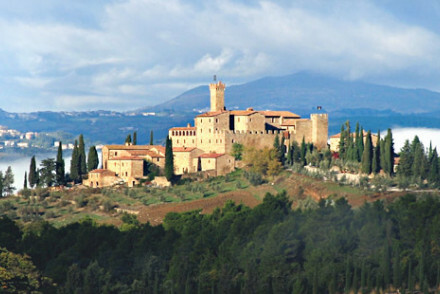 Sights nearby - Check out nearby Montepulciano. the highest Tuscan town, a medieval settlement witha rich history. Idyllic hideaway, only accessible by boat, overlooking crystal waters and beautiful gardens. A simple 1950s villa with stunning views and good value rooms. Delicious communal meals made from local produce. Enjoy the painting, yoga, pottery and cooking courses available in a serene setting. Hideaway - A real little hermitage. The perfect country escape from every day life. Kayaking - There are kayaks available for guests to explore the seas. Great walks - Along the beaches or go inland and explore the island. Sailing - Take a boat to the nearby island of Giannutri. 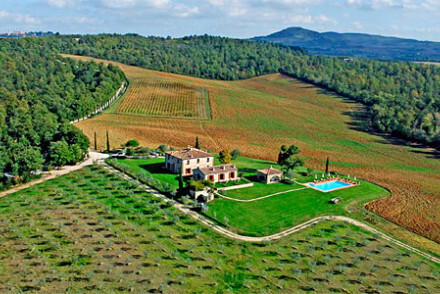 Sun kissed Tuscan villa with fragrant gardens and wonderful views. Intimate and elegant bedrooms filled with paintings, antiques and fine linens. Fantastically well stocked wine cellar and local cuisine served in the shaded garden. Heavenly. Great walks - Spend some time walking through the enchanting Tuscan countryside, explore the surrounding meadows, hills and vineyards. Cooking classes - Cooking classes can be arranged from the on-site chefs, learn to whip up your favourite dishes from the menu. Swimming Pool - Outdoor swimming pool fringed with hydrangea and jasmine. Views - Wonderful views of the rolling countryside. Rustic, restored barn turned charming B&B. Elegant bedrooms feature wooden floors and handmade furniture. Breakfast is an elaborate spread, catering to all requirements. 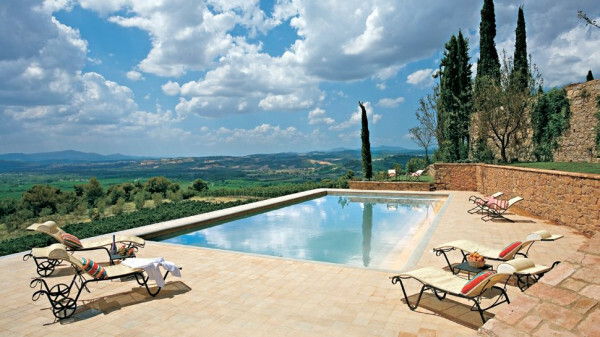 Relax by the pool whilst day dreaming over the Tuscan hills. Serene location from which to visit the regional historic cities. Less £ - With doubles from as little as €70 per night B&B, Casa Palmira is seriously good value! Great walks - Through the vegetable garden, surrounding countryside and along the stream. Cooking classes - Enquire with the hotel owners about booking cooking classes. Sights nearby - Just 14km away Florence is worth a visit. Rural Tuscan opulence in a fabulous country house. Almost regal rooms and enormous suites in neutral hues with chandeliers, marble fireplaces, frescoes, silk upholstery and standalone bathtubs. Romantic luxury with all the toys - swimming, tennis, wellness. 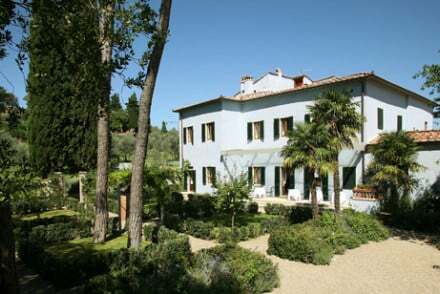 A charming 18th century villa in the Tuscan hills. Large, period style rooms are set across 3 buildings, each with bathrooms and views. 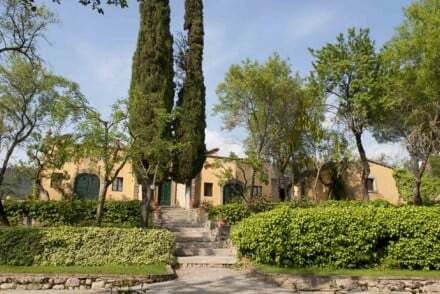 55-hectares of garden, with oak trees, wild boars and goats. Excellent Maremma traditional cuisine, short drive from the coast. A romantic choice for couples. Beautifully decorated country house with glorious views. A pretty pale blue facade and bedrooms that ooze traditional elegance - strong earthy colours, wooden beams, canopied beds and huge bath tubs. Excellent restaurant and cookery school. A popular choice with honeymooners and romantics. Great walks - Exploring the vineyards on foot is a romantic sunset scene. Cooking classes - Non residential and residential cooking courses. 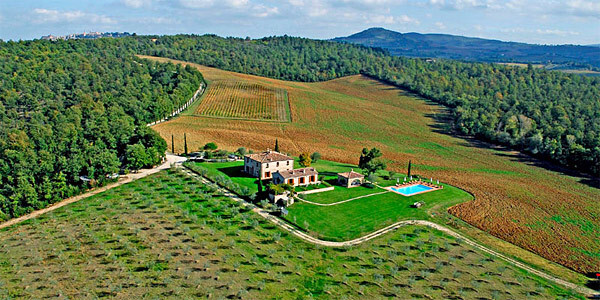 Gorgeous country house olive estate in the Tuscan hills. Timeless rooms, suites, family suites, and apartments have canopied beds, killim rugs, antique artworks and glorious views over cypresses and olive groves. Excellent restaurant, art and cookery classes. Groups - Group bookings are popular, a great place to spend time with friends. Families - Rooms can fit 5 with an extra bed on the ground floor of the villa. 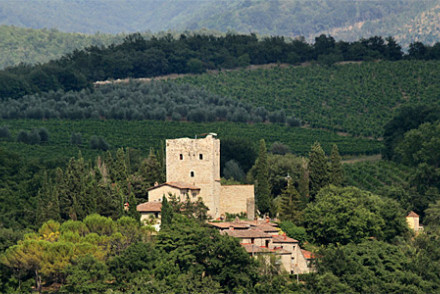 Winning charm in a classic Tuscan castle setting. Friendly owners create a wonderfully relaxing atmosphere like visiting an old friend. Haunting beauty, rustic charm and excellent value. 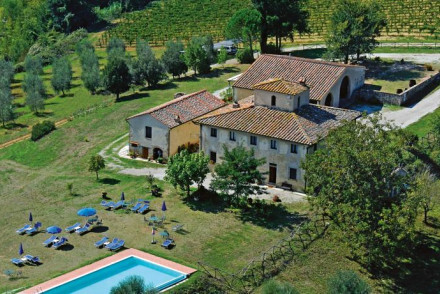 A must is their five day wine, yoga and pasta retreat. Foodies - Foodies heaven- River Café chef Avinash Kumar flies in to teach cooking classes and Emily O'Hare takes care of the wine. Total relaxation - The perfect retreat to refresh and recharge, yoga in the mornings, cooking in the afternoon and wine in the evenings. Great walks - Wander around working organic farm, filled with vineyards and olive groves. Sights nearby - Visit the nearby medieval towns of Pitigliano, Sorano and Siena. 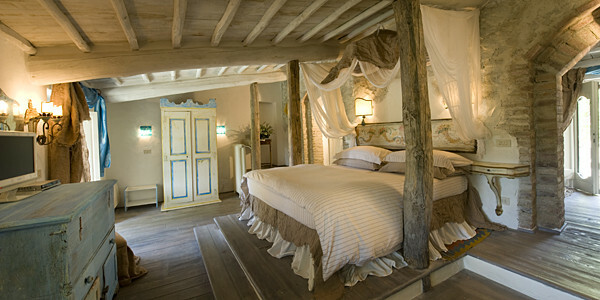 Typically Tuscan; rural romance and gastronomic indulgence in a fantastically luxurious room, suite or villa. Huge stand alone bath tubs, log fires, neutral hues, vine covered terraces, and a sparkling infinity pool. Great for couples, families, groups of friends.